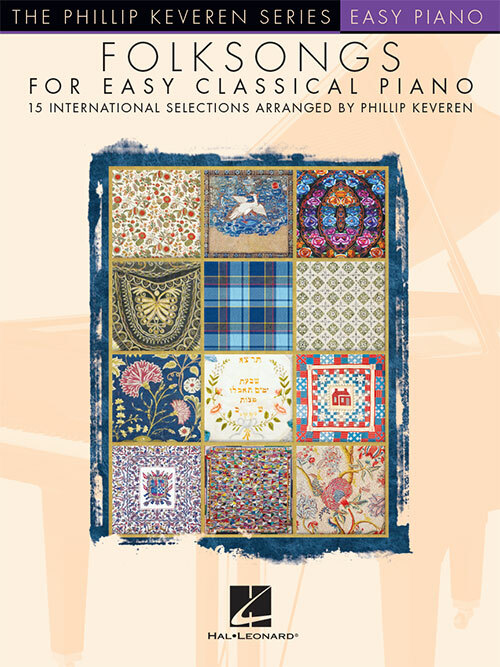 15 international folk tunes in unique classical style arrangements for easy piano by Phillip Keveren. Includes: The Bamboo Flute • Cielito Lindo (My Pretty Darling) • Danny Boy • Down in the Valley • Frere Jacques (Are You Sleeping?) • The Galway Piper • Guantanamera • Hatikvah (With Hope) • Home on the Range • Iroquois Lullaby • Sakura (Cherry Blossoms) • 'Tis the Last Rose of Summer • Water Is Wide • Wayfaring Stranger • Yankee Doodle.